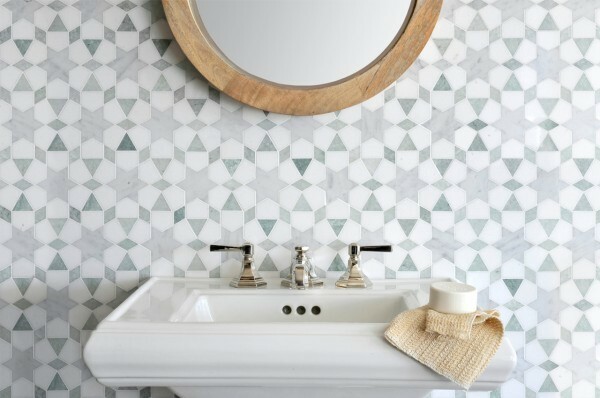 We are obsessed with the idea of adding patterned tile into the bathroom because although bathrooms are usually small spaces, patterned tile is a way to add BIG style. 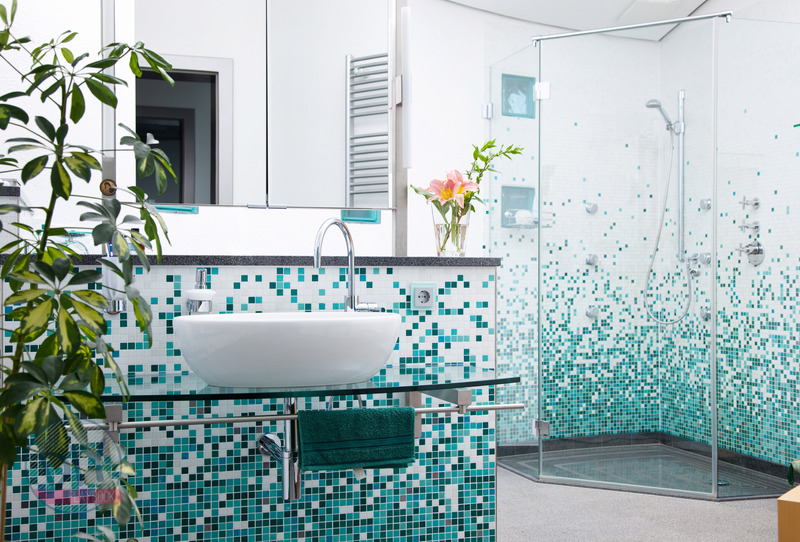 Adding gorgeous tile is THE way to amp up your personality without making it feel cluttered with accessories or art. 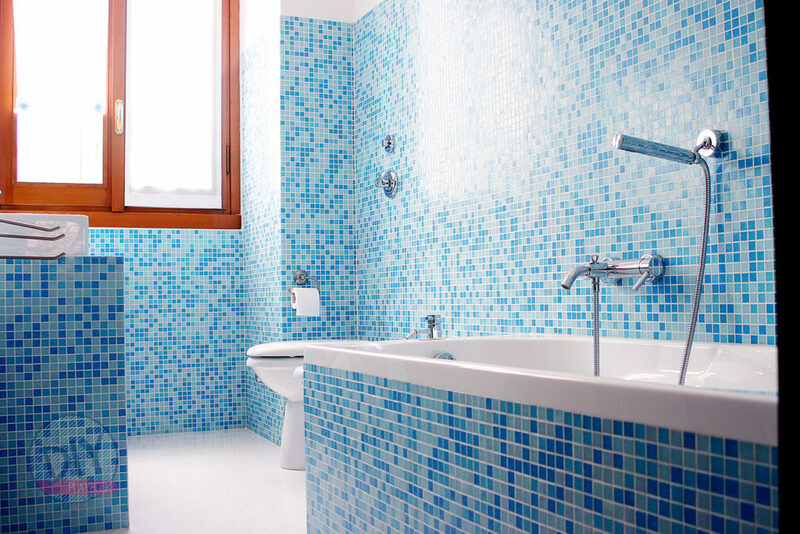 If you are planning to add bold tile into your bathroom, make sure you absolutely LOVE the pattern before adding it into your home. This is definitely a look you will be forced to live with for a while, so loving everything about it is important. 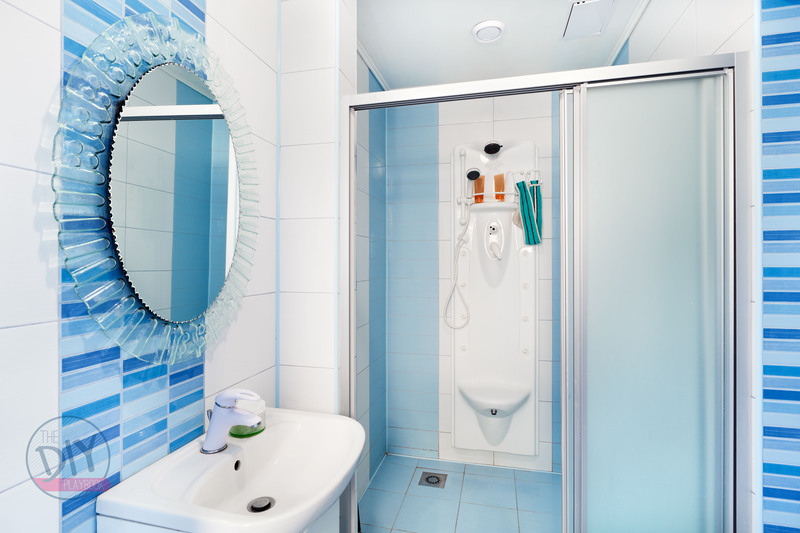 Have you ever thought of trading the rectangle, usually oversized bathroom mirror with something a bit more light and airy? Swapping that rectangular mirror with a round mirror is a great way to ditch the builder-basic look and add a punch of personality and style. Metallics are trendy in every room of the house these days and especially in the bathroom. 2016 was full of gorgeous bathrooms with brass finishes and we honestly could not get enough! 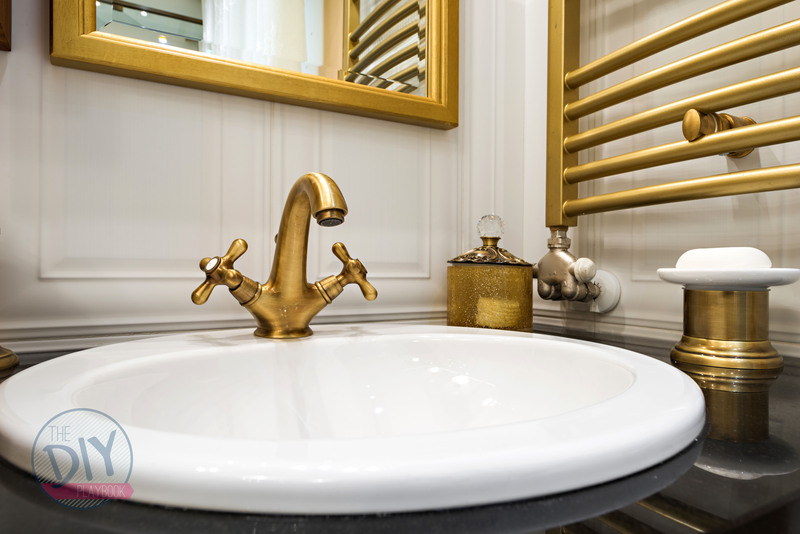 But if you’re hesitant to commit to transitioning all of your faucets to gold, mixing a bit of brass into your bathroom’s decor (knobs, artwork, hooks, etc.) 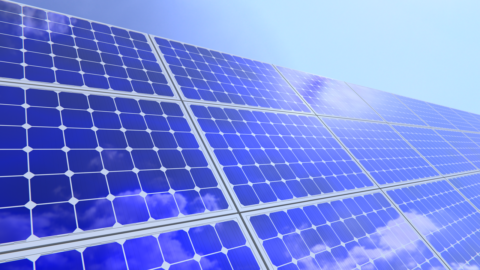 is also a great way to stay on-trend without a permanent commitment. 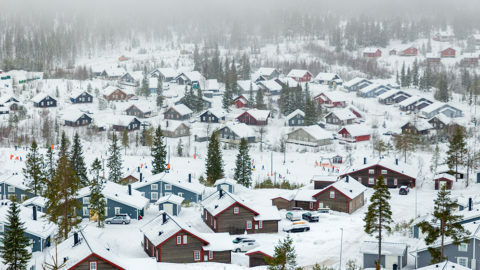 Wallpaper? Why not?! 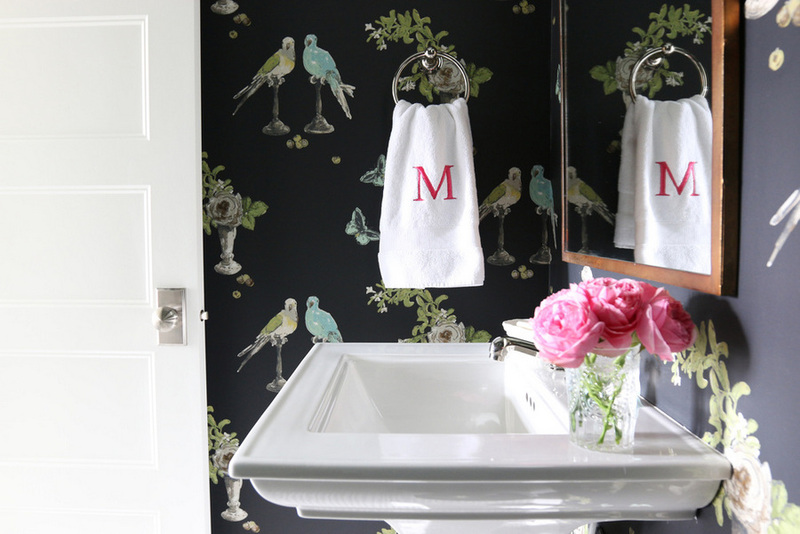 We are in love with adding wallpaper in your bathroom. Wallpaper is a fairly inexpensive way to dress up a small space, but remember that it’s definitely not for every bathroom. 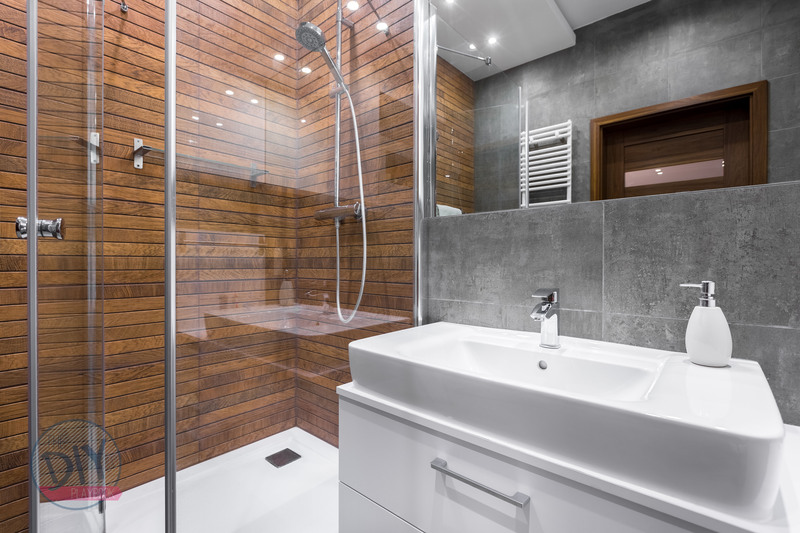 Because of the humidity and moisture that showers create, we do advise sticking with wallpaper in half baths without a shower. Still, the payoff can be well worth it. 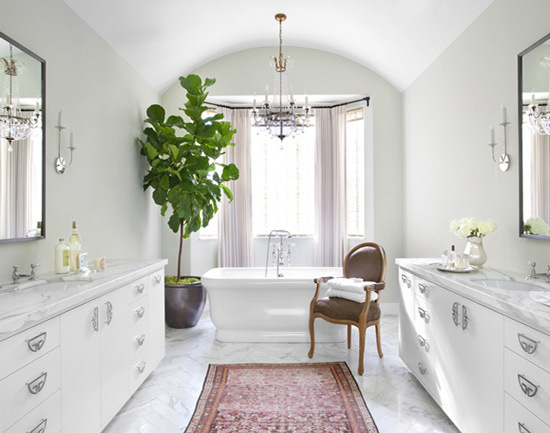 If you’ve searched “Bathroom Inspiration” on Pinterest this year, you’re bound to see a ton of gorgeous bathrooms that all incorporate greenery. We love the idea of adding a plant or succulent into the bathroom because it gives this space a sense of serenity and relaxation. Not only will your bathroom be stylish with this hint of greenery, but adding plants to your home provides a series of other benefits too (like cleaner air!). 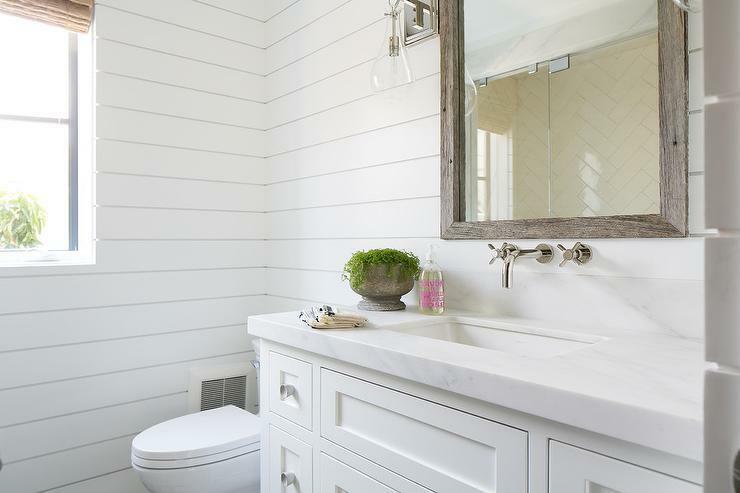 Thanks to the darling couple behind HGTV’s Fixer Upper series, shiplap is EVERYWHERE this year… including the bathroom! 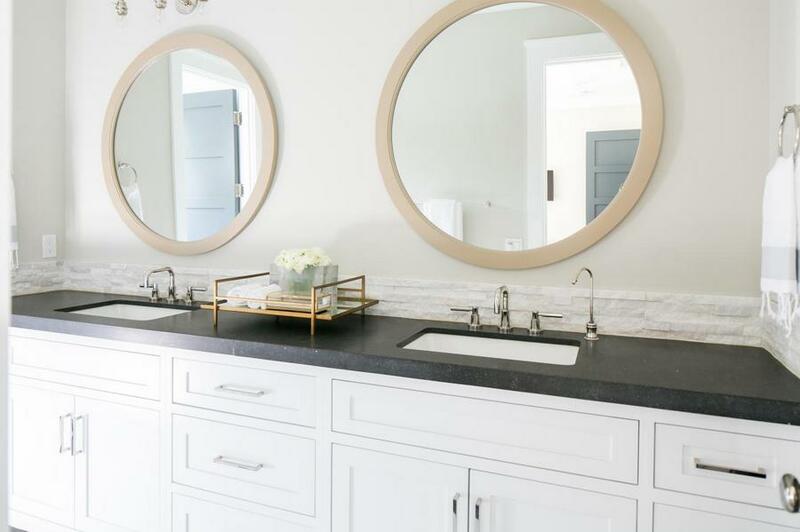 Channel your inner Joanna Gaines and DIY shiplap in the bathroom. 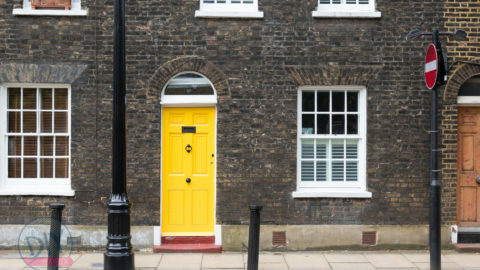 It’s an inexpensive way to add texture and character and will make you fall in love. So there you have it, a look at the six bathroom trends we are absolutely loving this year! Now the big question… which one do you want to incorporate into your home?